Firstly, I am no beauty blogger and I understand that pretty much everyone has already raved about this collection. However I wanted to try something a little different and post about a product that I am particularly loving at the moment. I’m not one for spending lots of my hard earned pennies on experimenting with make up. I prefer to just find products or brands that I like and stick with them. 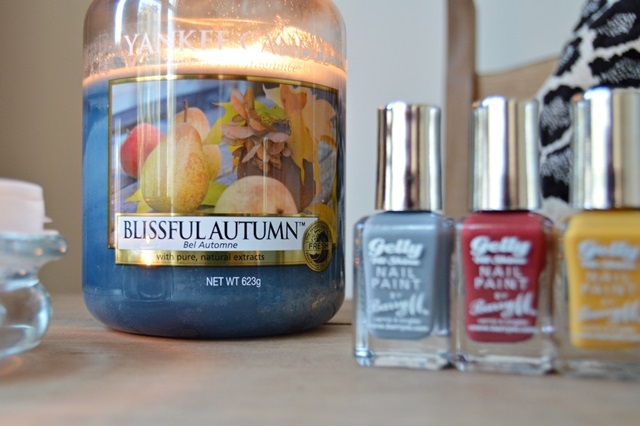 One of the items I enjoy the most, and could not live without, is nail polish. Barry M is one of those brands I have never been disappointed by and I am absolutely obsessed with their beautifully coloured, affordable nail polishes. 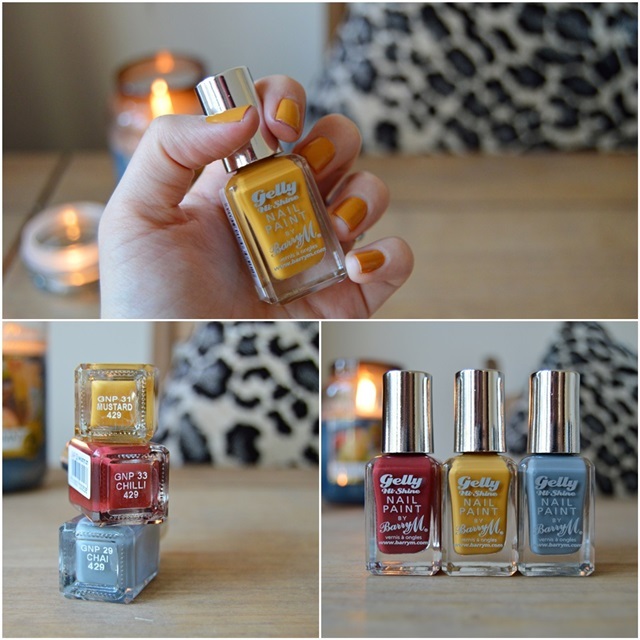 When this autumn collection launched, I made the most of the 3 for 2 offer in Superdrug and purchased mustard, chilli and chai. Mustard is my absolute favourite. It’s super cute, bright and playful, and reminds me of crunchy leaves. I enjoy adding a splash of colour at this time of year, especially on my nails, as it sits beautifully alongside grey, burgundy and other dark tones that I’m likely to dress in. A few of my older shades that are also appropriate for autumn include berry cosmo, raspberry, watermelon and mocha. Delicious. What nail colours are you enjoying at the moment?